We were absolutely tested and we survived, were the words of Fiji Airways Fijian 7s head coach Gareth Baber after their 35-10 win over Japan yesterday. “It was a great result, but again we were tested,” he said. Baber pointed out that it was the first time for overseas-based-players Leone Nakarawa, Josua Tuisova, Semi Kunatani and Semi Radradra to all play with the rest of the team after a long 15s season. “For injuries Kalione Nasoko has been cleared of concussion while Paula Dranisinukula had a cut and should be okay. This is a physical sport, so we expect this,” Baber said. He also pointed out that Radradra, Tuisova and Nakarawa made things easy by fitting into the team’s style of play, especially in sevens. Japan took a 10-7 lead at halftime through tries to Kameli Soejima and Josese Seru, which were not converted. 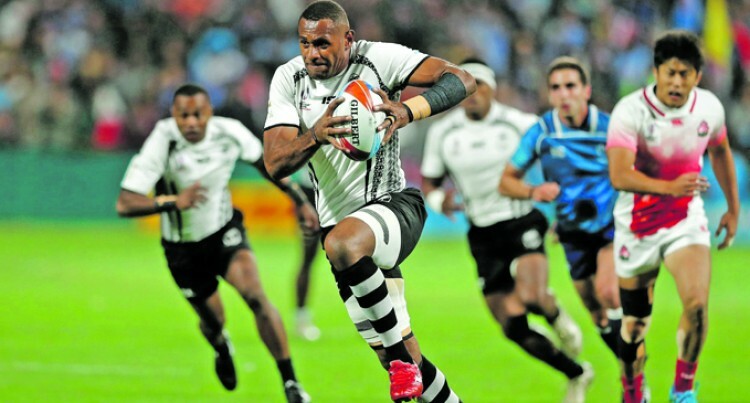 Fiji’s first try was scored by Kuna­tani after captain Seremaia Tuwai broke the defensive line with Vate­mo Ravouvou converting. In the second half Fiji ran in tries to Tuwai, Jasa Veremalua, Tuisova and Radradra.